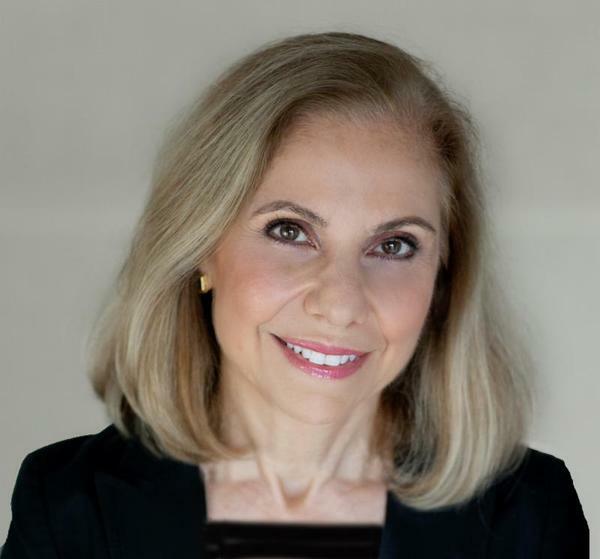 Cynthia Matossian, MD, FACS's article "Interdisciplinary Meetings Help Improve Treatments" was featured in the January 2015 issue of Ophthalmology Management. Please click here to read the article. Matossian Eye Associates participated in a mock consulting project for graduate MBA students at local Rider University who were competing in the Small Business Institute Consulting Project of the Year. Students were required to meet with their "clients," and create a consulting contract and proposal based on their analysis. Their proposal included recommendations for public relations and brand management. The graduate team went on to place first in the competition! Matossian Eye Associates was glad to facilitate this opportunity for these local students. 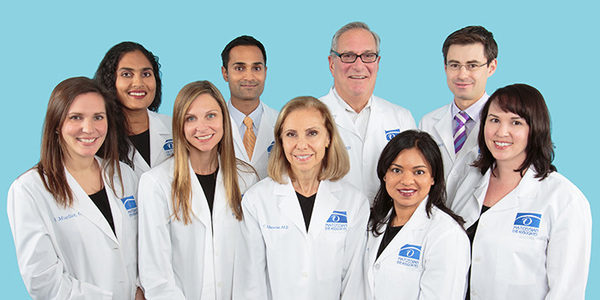 Twice a year, Cynthia Matossian, MD, FACS participates as a featured faculty member at the weekend-long surgical mentor resident program sponsored by Bausch + Lomb for surgical residents and their attendings from academic programs all over the U.S. This event is designed to teach cataract surgery techniques through hands-on experience in a wet lab setting. In 2015, Dr. Matossian will participate as faculty in this program in March and August. 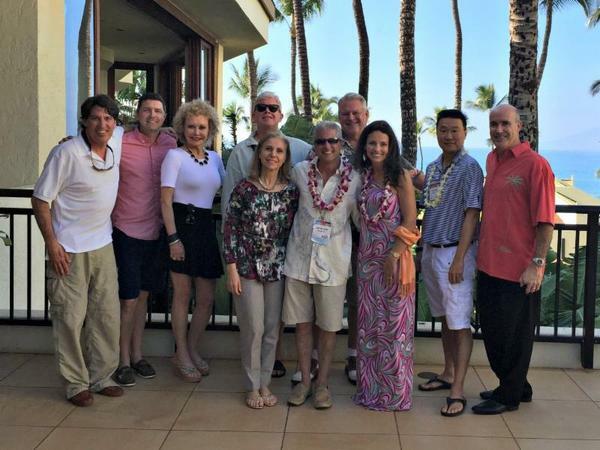 Cynthia Matossian, MD, FACS attended the Hawaiian Eye Meeting this January. "The Neglected Refractive Interface: Impact of the Ocular Surface on Cataract Surgery Outcomes." 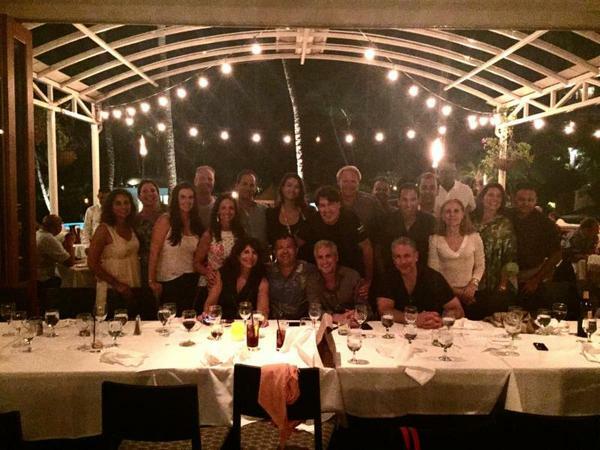 Pictures from the Hawaiian Eye 2015 meeting. 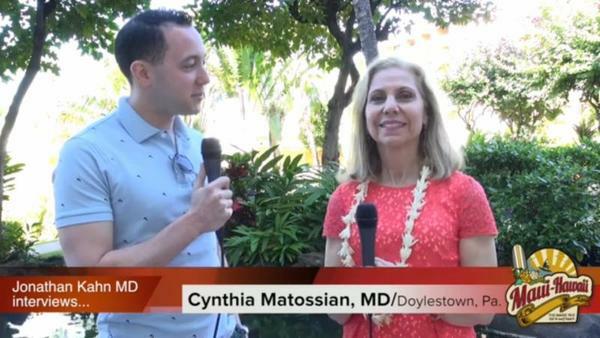 Dr. Matossian was interviewed on several topics while at Hawaiian eye. 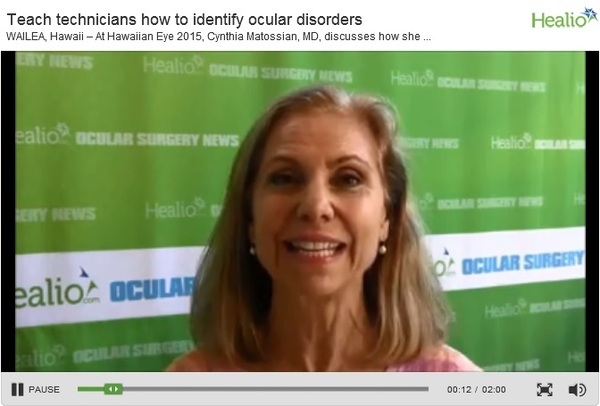 Please click the picture below to view Dr. Matossian being interviewed by Ocular Surgery News on teaching technicians to correctly identify ocular disorders. Please click here to view a video regarding the impact of ocular surface disease on the accuracy of implant calculations for cataract surgery. Dr. Matossian also spoke to EyeWorld on the topic of the dry eye workup and the treatment protocol recommended by MEA. Please click the picture below to view the video. 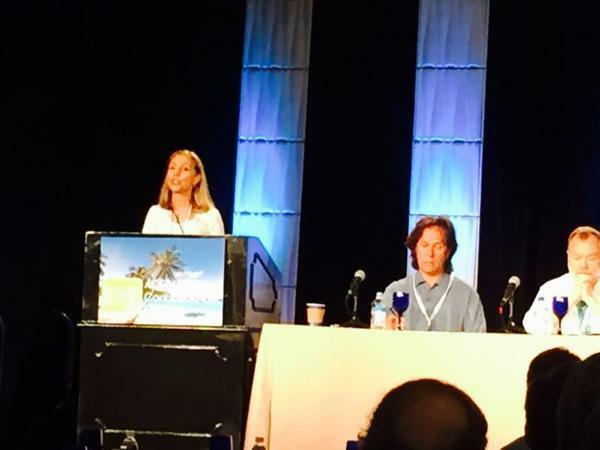 Cynthia Matossian, MD, FACS presented on the ReSure® Sealant at the American College of Eye Surgeons Meeting in February 2015 in San Juan, Puerto Rico, along with Marc Packer, MD and Johnny Gayton, MD sitting at the podium. 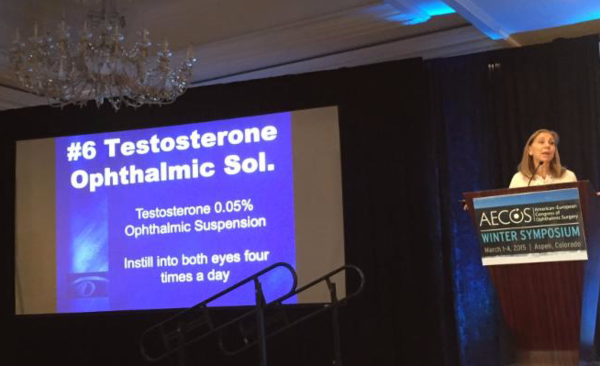 Cynthia Matossian, MD, FACS attended the Winter Meeting of the American-European Congress of Ophthalmic Surgeons in Aspen, where she presented on the topic of "New Technologies for the Treatment of Meibomian Gland Disorder." Please click the picture below to view a video interview regarding this presentation. On Monday, April 27th, Matossian Eye Associates will be holding a COPE approved educational lecture for area optometrists. Ilya Rozenbaum, MD will be speaking on "Updates in Cataract and Glaucoma Surgery." Priya Desai, MD will be speaking on "Ocular Manifestations of Oral Medications." For more information, please contact Cait Hutton at chutton@matossianeye.com or (609) 323-1560 x4. Investigation of trabecular micro-bypass stent system in conjunction with Cataract Surgery (Glaukos). We have enrolled our first patient in this study. We have enrolled patients in this study and are actively looking for additional candidates. The Efficacy and Safety of a 5.0% Concentration of Lifitegrast Oph. Sol. vs. Placibo in Subjects with DED and History or Recent Artificial Tear Use (Shire). We have enrolled two patients in this study. Measurement of Tear Osmolarity in Cataract Surgeons during 1 Day of their Surgery Schedule. This study is ongoing. Evaluation of Ocular Events post Sealing Corneal Incisions with ReSure® Sealant. This study is about to begin. Cassini Measurement and Correction of Low Cylinder. We are actively enrolling patients in this study. Cassini Repeatability of Measurement of Corneal Astigmatism. We are actively enrolling patients in this study. A Retrospective Data Analysis of MEA Patients Having Sjogrens Syndrome Testing as Part of Their Dry Eye Disease Workup. We have compiled the data and are working on writing the article for submission. Sealant on the reopened corneal incision. Please click the image below to view the video. Cynthia Matossian, MD, FACS will speak on several topics while attending the upcoming ASCRS/ASOA conference in San Diego, CA. "The TECNIS iTec Preloaded System" at the Abbott Medical Optics Key Opinion Leaders Sessions - 8:00 and 10:00 a.m., Friday, April 17th, Hilton San Diego Bayfront. "Evaluation of Ocular Sealant for Clear Corneal Wound Closure in Cataract Surgery for High-Risk Patients" - 1:06 p.m., Saturday, April 18th, Room 5A, San Diego Convention Center. "Keys to Preoperative Success with Toric IOLs: Diagnostics and Calculations" - 6:30 a.m., Sunday, April 19th, Hall E, EyeWorld Theater II, San Diego Convention Center. 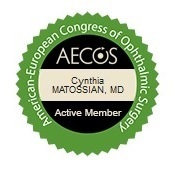 A case study of one of Cynthia Matossian, MD's patients was recently published by i-Optics. Using the Cassini total corneal astigmatism measurement, Dr. Matossian was able to select a more appropriate implant for the patient based on the posterior corneal astigmatism data, avoiding a post-surgical refractive surprise. An early pioneer of Cassini technology, Matossian Eye Associates was the first in New Jersey and the first in the Philadelphia area to offer it to their patients. Please click here to view the brochure.